Children can be under tremendous pressure in modern life. Gone are the days when young people can scamper around outdoors, climbing trees and playing pooh sticks from dawn ’til dusk. Now it seems that it’s often about homework, tests, and endless rounds of frowns accompanied by “…in my day…”. That’s quite without looking over their peers’ shoulders and wondering when they might get their own tablet/ phone/ social media account. Ok, so I didn’t parent through the World Wars or the Great Depression. I can only begin to imagine how tough it must have been to raise a child healthily in Tudor England. Cave people must have really had it hard. But with each generation seems to come a new pressure, a new obstacle to ensuring that our children are healthy in mind and body. Having been diagnosed with General Anxiety Disorder back in 2007 I know all too well how difficult mental health issues can be. I was lucky, I saw an excellent therapist who quickly set me back on track, but I don’t ever want my children to feel the stress, pressure or anxiety of modern day life more acutely than they need to. For me, helping them to develop coping strategies starts now. So when I was asked to take a look at a brand new website called WeParent I jumped at the opportunity. Designed to combat some of the tougher elements of parenting young children that we are faced with today, this website has been created by the people in the know. Boasting over 40 years of experience working with parents and their children, psychologists have designed a fun and straight forward way to support parents and caregivers with encouraging emotional development and well-being in children. I am a huge believer that a good grounding in self-belief and social awareness is much more important than all the literacy and numeracy tests that are thrown in the direction of young children by our current education system. So, what do I think of the website? 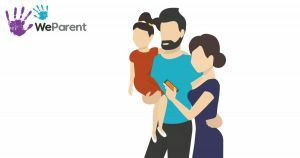 I have only just started using WeParent so I must emphasise that at this stage I am unable to fully document its success when used with my own children. However, so far so good. I like the layout of the site and ease of navigation to target the areas that I feel I need some help with as a parent. My husband is finding it useful too. It’s really easy to dip in and out of, reading suggestions of things to do with our children if there is something in particular that they are struggling with through to more general advice and practical tips. WeParent is split into five categories with over 20 learning modules to choose from. I have looked at a few of the modules and I am impressed. You start by reading through some fun facts. This is followed up with the main segment. Depending on the module this seems to vary from answering a short questionnaire about your child and their reaction to certain situations, to reading about ways to help your child to manage a challenging situation. The advice depends on the core focus of the module and is gentle and easy to follow. The idea behind the advice imparted on WeParent is that by supporting our children with managing their emotional development and social interaction now, we will help to alleviate some mental health issues in the later stages of their life. 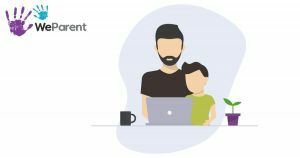 From what I have seen I would recommend WeParent to all parents wanting to learn more for themselves in how to support the mental health and well-being of their children. You don’t have to take my word for it though. 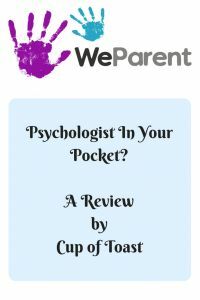 I have paired up with WeParent to bring TEN lucky readers the chance to win a year’s subscription to the service so that you can try it out for yourself. To be in with a chance of winning, simply follow the entry options below. To learn more about this fantastic service, you can take a look at the WeParent website, here. 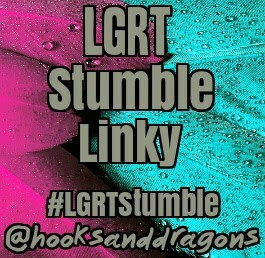 Ten winners will be drawn at random. Once chosen I will make contact before passing your contact email address on to the team at WeParent. By entering you give consent for your email address to be disclosed to myself and, if successful, WeParent. Your data will only be used for the purposes of this competition. This competition is run by Cup of Toast. I take no responsibility for any communication between the winners and WeParent. The prize is for a 12 month membership to the WeParent service. There is no cash alternative. This competition ends on Monday 21 May. N.B. 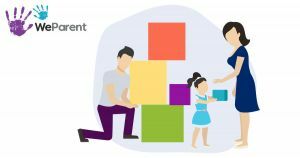 WeParent is aimed at parents of children aged 4 – 8 to give strategies to help parents and caregivers support the emotional well-being of their children. Please note that I was gifted a subscription in exchange for this review. All opinions are my own. Please see my disclosure page for more information. This seems like an interesting website. I am going to have a good look and sign up for the competition. Thanks! It’s a great idea to help parents. It’s very interesting and informative. Seems like a good idea although I think as parents we just have to follow our instincts and do our best, we’re not always going to be able to solve every problem. I totally agree that we have to trust our instincts as parents, after all we know our children best! What I really like about this service though is that it doesn’t say, “Problem = A, therefore Solution = B” but instead suggests that if you would like support with the social and emotional development of your child then you might like to try B, C or D to help. PSHE seems so far down the agenda on our national curriculum at the moment that it feels good to have some gentle props to get the balance. Parents need support! Not a single parent knows everything. It really does take a village and a wealth of knowledge to raise a kid! This site sounds like the perfect storm of support, knowledge, and resources to get help bring children up in the best way possible! I agree. We can all trust our instincts but sometimes we need a helping hand. This seems like a really gentle and effective way to get that extra support. Definitely, there’s so much pressure on our little people. It’s nice to know that there’s support available to help us reach a good balance with looking after their social and emotional well-being too through their childhood years. There just seems to be a real lack of nurture in our education system at a time when there is so much unnecessary pressure. I’m sure services like this will become invaluable to parents. It seems really good. There for when you need to dip in and broaden your response to something. We’re enjoying it so far! Definitely. This seems to give some very good, supportive advice to suit a range of scenarios. I completely agree, and there is so much pressure today for little people, it’s nice to have some balance. Parenting is hard, no doubt about it, this looks like a great resource! 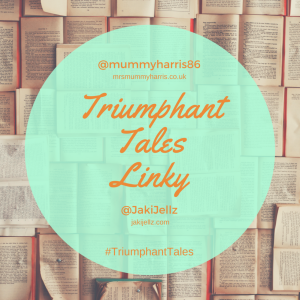 Thanks so much for sharing with #TriumphantTales, hope to see you again on Tuesday. It looks as though it’s a great way to find some balance for them.